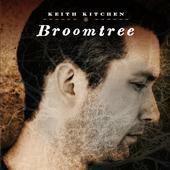 Broomtree is Keith’s first studio album. Recorded in BC with three great producers: Jonathan Anderson, Carolyn Arends, and Roy Salmond. The album showcases Keith’s ability as a songwriter and musician. Mixing sweeping string arrangements with an organic pop/rock sound and spanning a diversity of genres, it not only pays tribute to Keith’s musical influences, but showcases Keith’s versatility as a writer and a performer.